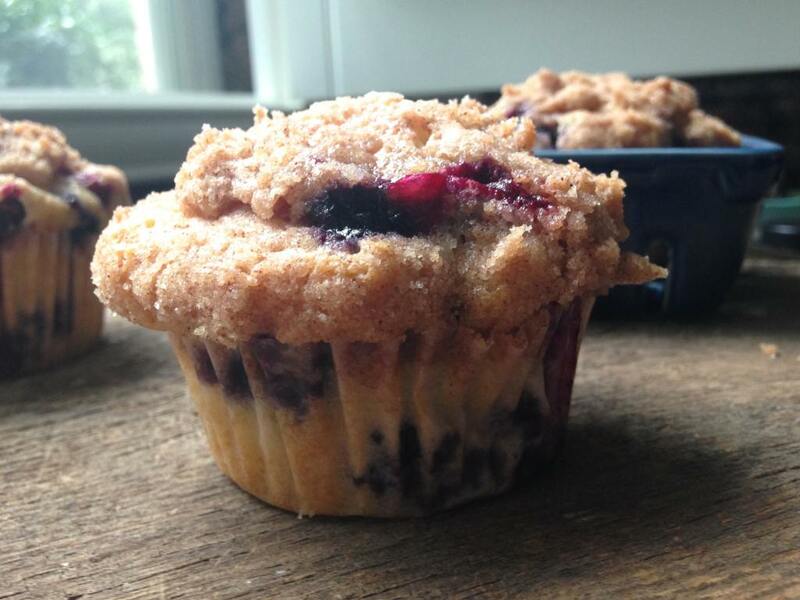 One of Matt’s favorite things in this world are blueberry muffins. He along with his college roommates Chance and Trevor would eat these on a regular basis. Being college kids, and guys for that matter, they would buy the $0.99 muffin mix variety. It was a certain brand too. I can’t remember if it was Duncan Hines or Pillsbury, etc. but Matt knows…. Chance and Trevor once made him return the box one time because he bought the wrong brand!! Matt was craving blueberry muffins the other day, and since he didn’t specify I buy muffin mix, I thought I would make some from scratch. There’s something to say for Google, because I did one search for “blueberry muffins” and found a recipe called “To Die For Blueberry Muffins“. While the recipe is the same, I changed the name because I thought Blueberry Crumb Muffins were more fitting due to the topping. 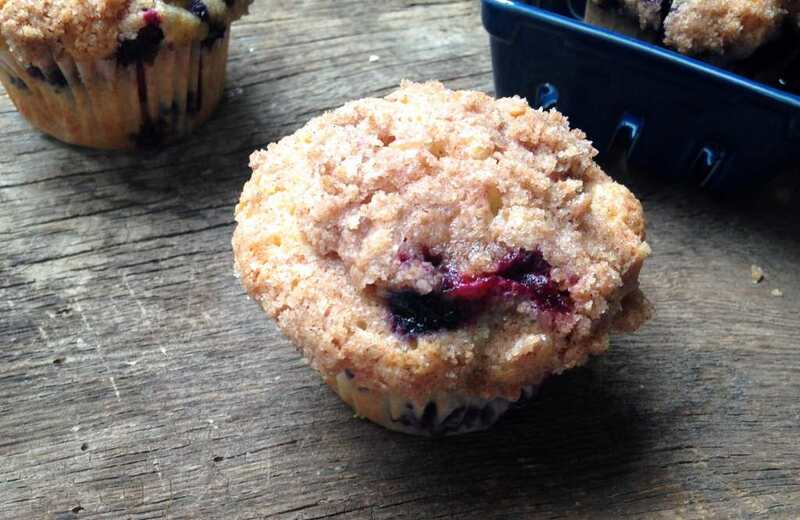 The muffins really are “to die for”, as they very sweet, easy to make, and have a delectable buttery crumb topping. 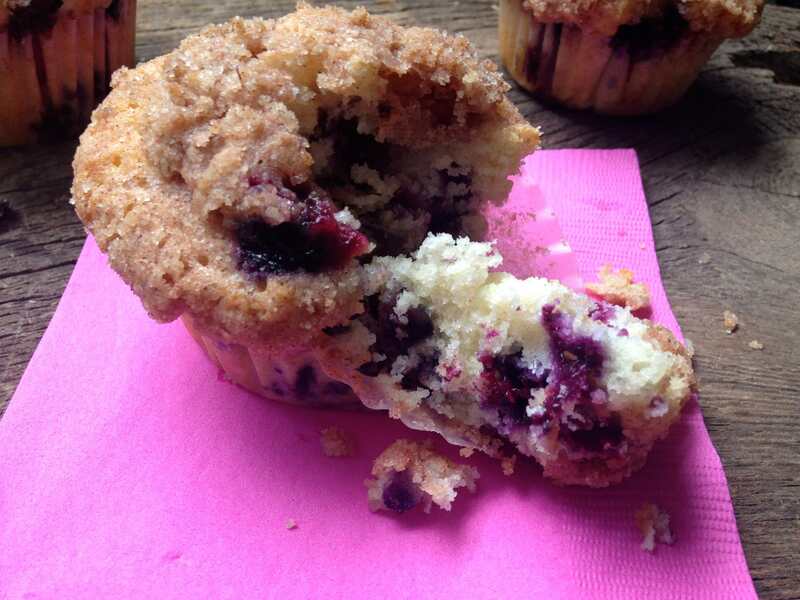 They taste like gourmet muffins you would order at Starbucks or a coffee shop! Plus, more than likely you will have all the ingredients already in your pantry. 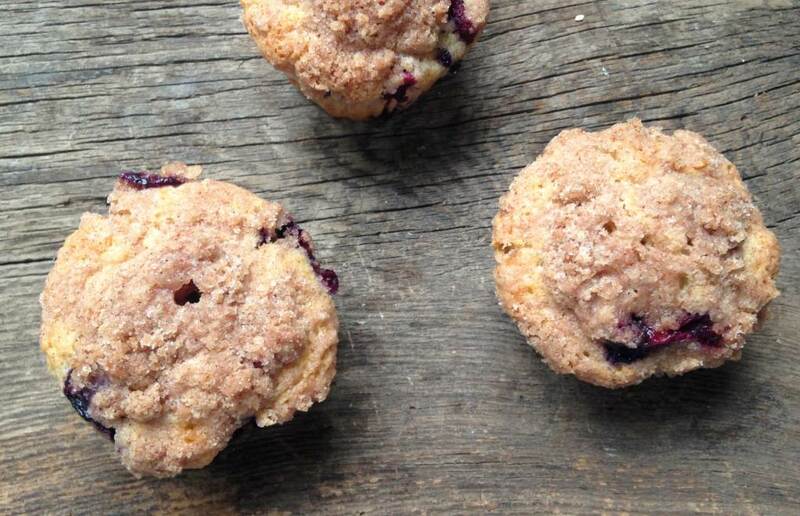 These are definitely a good recipe to have when you’re in a bind and need a quick muffin recipe. Even though deep down Matt likes his box muffin mix better (he must associate wonderful college life memories with those muffins lol), he still really enjoyed these and went back for seconds. Preheat oven to 400 degrees F. Grease muffin cups or line with muffin liners. 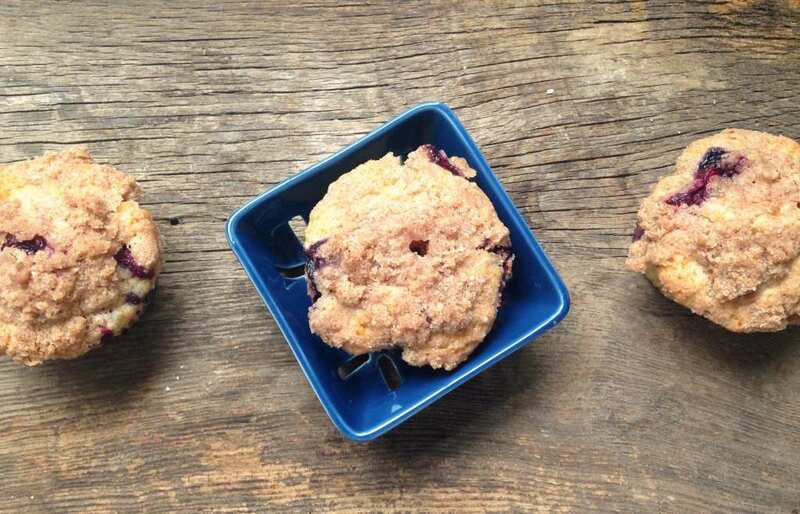 TO MAKE BLUEBERRY MUFFINS: Combine 1½ cups flour, ¾ cup sugar, salt and baking powder. Place vegetable oil into a 1 cup measuring cup; add the egg and enough milk to fill the cup. Mix this with flour mixture. Fold in blueberries. Fill muffin cups right to the top and sprinkle with crumb topping mixture. TO MAKE CRUMB TOPPING: Mix together ½ cup sugar, ⅓ cup flour, ¼ cup butter, and 1½ teaspoons cinnamon. Mix with fork, and sprinkle over muffins before baking. Bake for 20 to 25 minutes, or until toothpick inserted in the center comes out clean.